Tommy Robinson has had a charge of battery dismissed in court. He said the judge questioned the police’s motives for pursuing the case against him when they did. “My case has been dismissed. Even the judge made comments about the police’s motive of prosecution. Thank you all”, he announced on Twitter on Thursday afternoon. “The QC absolutely tore it to pieces… Yeah, he made a mockery of it. He made a mockery of just another stitch up”, he added in a short video. Yesterday, Breitbart London reported that supporters of the PEGIDA UK organiser and former leader of the English Defence League (EDL) had donated £24,000, allowing him to hire “one of the best legal representatives” for the case. “I just want to say a quick thank you. Thank you to everyone who donated, because without your support and without your donations I would have been fighting for my life in prison right now. I know that, one hundred per cent,” he continued. Adding: “So thank you very much. I’m going home to my wife and kids”. Mr. Robinson has admitted being involved in an altercation when he was imprisoned for alleged mortgage fraud last year, charges he insists were also politically motivated. He says he acted in self defence as he had been deliberately put in a prison “wing full of Muslims” where his “life was in danger” and a bounty put on his head. 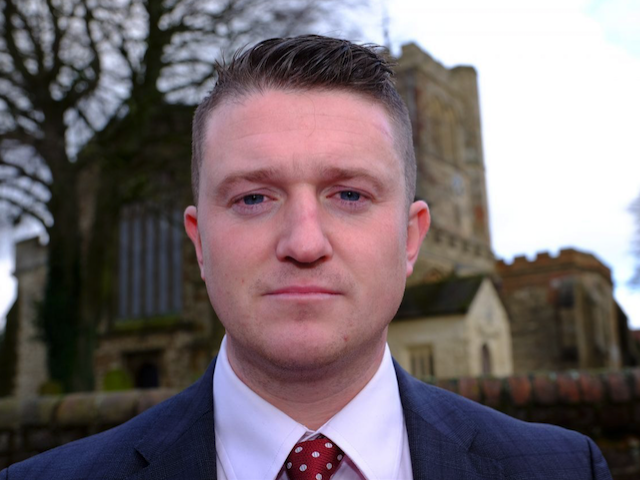 Mr. Robinson was only held for a short time following a public outcry, and has been present at the PEGIDA UK walks on the 6th of February and last weekend. Both events have passed off peacefully, without incident.